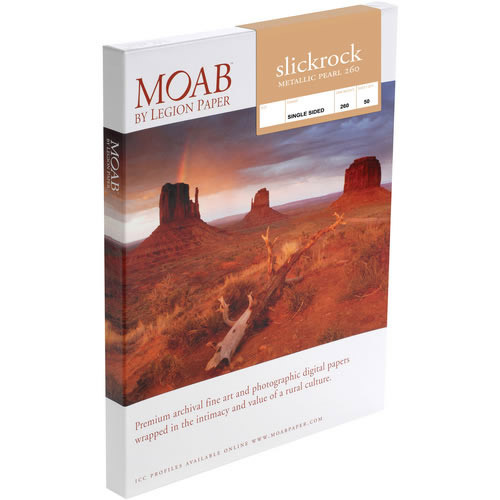 Reminiscent of the ultra-smooth and slick sandstone surface of the famous bike trail that loops through the desert plains of Moab, Slickrock Metallic Pearl 260 captures the original beauty of an image with a metallic pearl enhancement. The paper’s high-gloss and unique sheen make this ideal for everyday prints with a twist. Read the Luminous Landscape review!